Jazz news: Steve Turre To Be Artist-in-Residence At Marshall University's 48th Winter Jazz Festival! 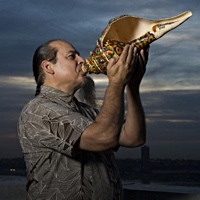 Steve Turre To Be Artist-in-Residence At Marshall University's 48th Winter Jazz Festival! Marshall University’s Jazz Studies Program, one of the premier Jazz education centers in the U.S. announced that legendary 29-time Downbeat Critic’s & Reader’s Poll award winner, Steve Turre will be the “Artist in Residence” at the 48th Winter Jazz Festival. The festival will take place February 16th-18th, 2017 on the Marshall University Campus in Huntington, WV. The 48th Winter Jazz Festival is one of two yearly jazz events and will feature performances from tri-state area middle school and high school jazz ensembles. Additionally, the Marshall University Jazz Ensembles I and II, Jazz Combos, and Faculty Jazz Group will also perform during the three-day event. Steve Turre (Trombone & Shells) will perform in multiple formats, along with special guest Ashlin Parker (Trumpet) as part of the festival’s main night of performances. 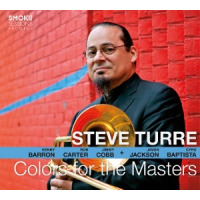 Over the three-day time period Steve Turre will also conduct several master classes and workshops geared towards students and local educators alike in the Jazz and Latin Jazz genres. The festival's daily concerts will begin at 7 p.m. in the Smith Music Recital Hall on Marshall's Huntington campus, while the special guests will perform with the Marshall University Faculty Jazz Combo on Friday and the Jazz I Ensemble on Saturday. Fourteen regional middle and high school bands will be present for adjudication over two days. 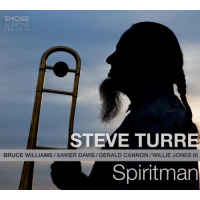 Turre, a long-time legend in the field of Jazz is most recognized as the Trombone player for the critically acclaimed Saturday Night Live Band for over 30 years. He worked his way through the Jazz ranks having held notable spots in the bands of Rashaan Roland Kirk, Ray Charles, Art Blakey & the Jazz Messengers, and Dizzy Gillespie, to name a few. He has played and recorded on more than 200 albums spanning more than three decades of music with the “who’s who” of the music world. 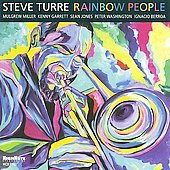 With over 20 albums as a leader under the auspices of such major labels as Antilles/Island, Verve, and HighNote Records Turre is the most critically acclaimed trombonist in the history of modern music. His accomplishments don’t stop there, his last five recordings have ascended to the Top 10 albums of the JazzWeek Jazz Radio Charts, and he is widely considered one of the premier jazz educators in the world. Marshall University’s Jazz Studies Program is uniquely suited to host an event such as this year’s Winter Jazz Festival. It is the only university in the continental U.S. with its own facility dedicated exclusively to the performance and study of Jazz Music. In January 2017 at the Jazz Education Network (JEN) Conference, Dr. Jerome Gilbert, President of Marshall University announced that in 2018 they will launch the Ellis Marsalis International Jazz Piano Competition (a triennial event), along with the Ellis Marsalis International Jazz Festival which will occur annually. The festival is set to become the only yearly international Jazz Festival in the state of West Virginia. For more information about this announcement, contact Dr. Martin Saunders at Dr. Martin Saunders' E-mail or at (304) 696-4316. To learn more about the Jazz Studies Program at Marshall University, visit at our website below. 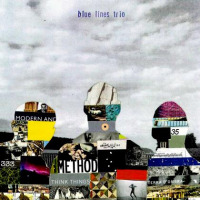 This story appears courtesy of Nu Jazz Publicity. 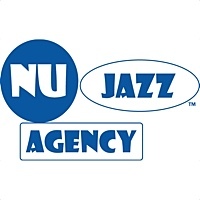 For interview requests or more information contact Nu Jazz Publicity.